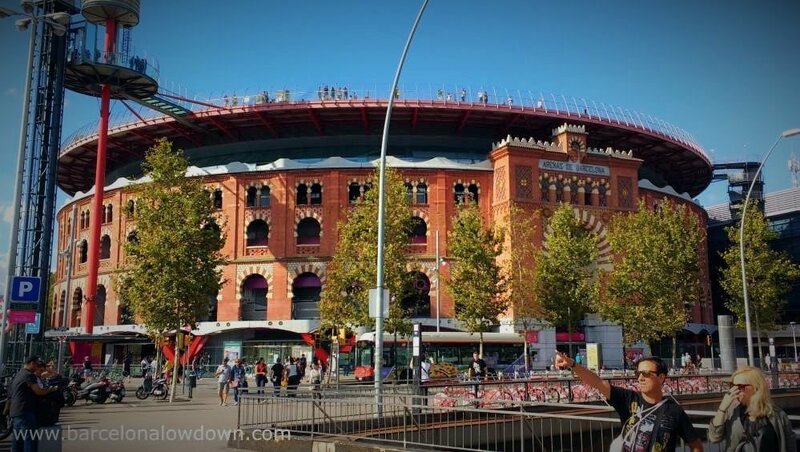 The Las Arenas de Barcelona bullring was inaugurated in 1900 and was the second of 3 bullfighting rings built in Barcelona. 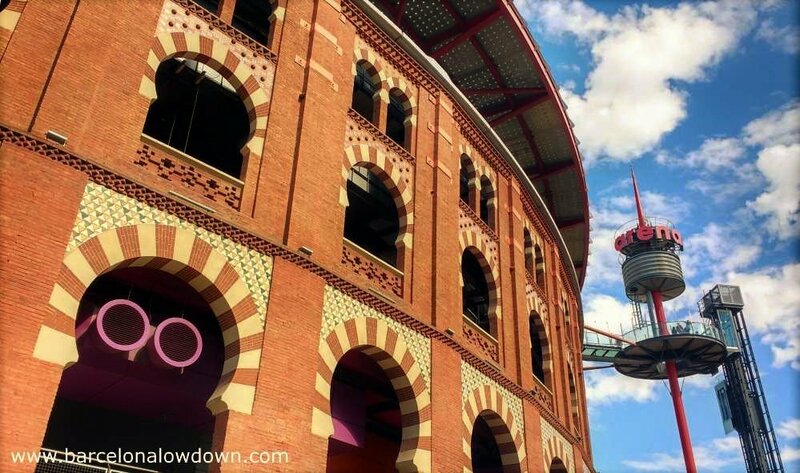 Designed by Catalan architect August Font i Carreras, the plaza had a capacity for nearly 15,000 spectators. 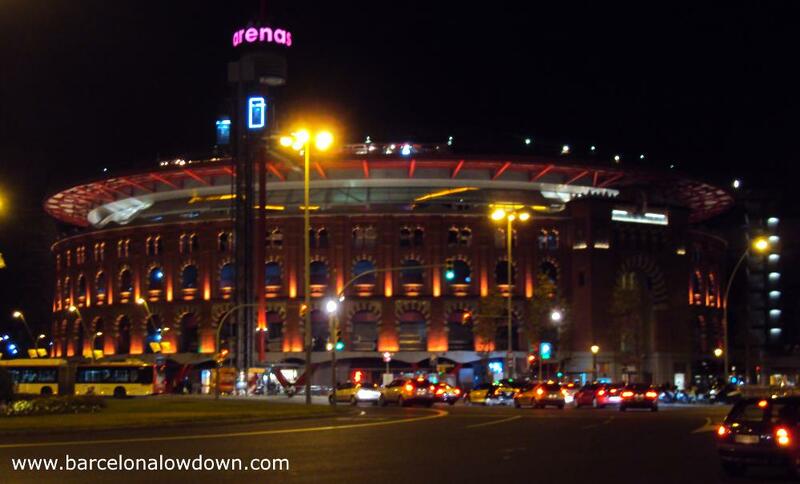 During the 1970s, as bullfighting became less popular, the arena faced declining attendance and finally closed in 1977. 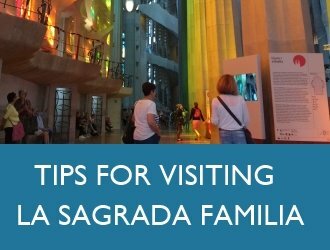 In 1999 the structure was purchased by the company Sacresa who gave British architect Richard Rogers the task of converting it into a shopping centre and entertainments complex. The project took 8 years to complete and opened it’s doors to the public in 2011. Rogers’ ambitious design maintains the original Neo-Mudéjar façade, now topped by a 27m high dome and circular roof terrace. For most visitors, however, the shopping centre’s most interesting feature is the view from the roof. 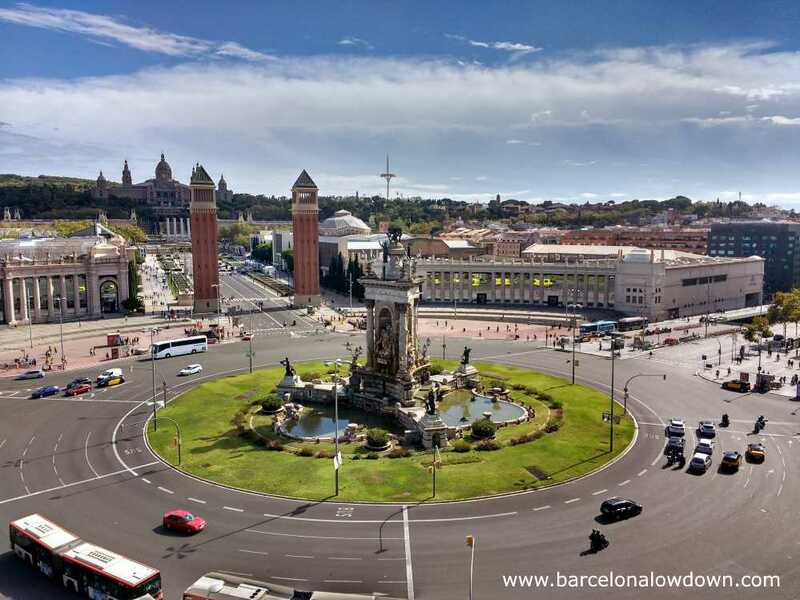 The roof terrace is lined with bars and restaurants surrounded by a large circular platform with 360º panoramic views of Barcelona including; Plaça d’Espanya, Joan Mirós Woman and Bird sculpture, the National Palace and Montjuïc as well as distant views of the Sagrada Familia, Torre Agbar and Tibidabo. In addition to shops, the Las Arenas shopping centre houses a food hall, multi screen cinema, gym, restaurants, exhibition halls, music venue and an auditorium where you can enjoy daily flamenco shows. There is also a supermarket and an underground car park with space for over a thousand cars. Entry to the Las Arenas viewpoint is free of charge. The glass elevator (see photos above) costs €1 but the escalators inside the shopping centre are free and also give access to the rooftop viewing platform and restaurants. There’s no reason to take the lift since the best views are from the roof. 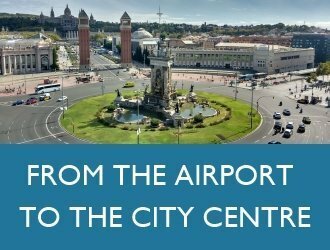 The Las Arenas mall can be accessed directly from the Espanya metro station which is on the red (L1) and green (L3) metro lines and also served by FGC trains including the trains to Montserrat and nearby towns. When you disembark the metro follow the signs from the platform to the Creu Coberta exit. At the exit you will see signs with the shopping mall’s pink “a” logo which lead you directly to the basement level of the shopping centre. From here you can take the escalators up to the 6th floor viewing platform on the roof. 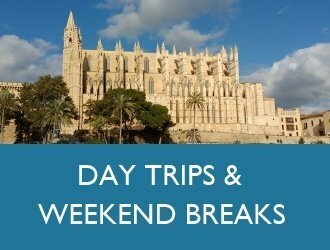 There are also several bus lines which stop at Plaça d’Espanya square including the airport bus and night bus. 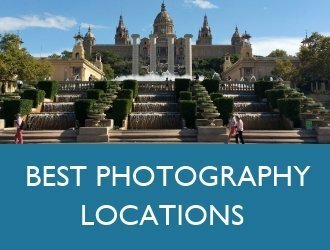 Note: Plaça d’Espanya is the nearest metro station to The Magic fountain, Palau Nacional, MNAC, Caixa Forum and Poble Espanyol. It’s a good idea to spend a few minutes here enjoying the view before visiting the other sights. 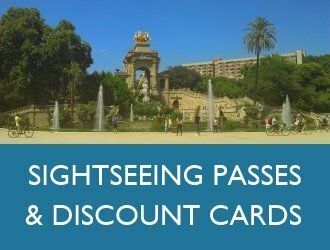 This entry was posted in Attractions, shopping, Viewpoints tagged bullring, eixample, montjuic and updated on June 15, 2018 by Richard.